Italian culture, community and ART take over Commercial Drive + GIVEAWAY! Italian Day, Vancouver’s largest cultural street festival, is returning to Commercial Drive on Sunday, June 14, 2015. Now into its sixth year, Italian Day celebrates more than 50 years of Italian heritage in Vancouver, bringing together the best that Italy has to offer in our own backyard. This year’s festival puts a special focus on Italian ART, with pre-event showcases of Italian film and painting, and breathtaking examples of Italian design, music, theatre, food, crafts and activities throughout the event! ALL-NEW this year is a special Vancouver Art Gallery exhibit leading up to the event! Of Heaven and Earth: 500 Years of Italian Painting from Glasgow Museums is an exhibit at the Vancouver Art Gallery, organized by the American Federation of Arts and Glasgow Museums, in collaboration with Italian Day cultural partner the Consulate General of Italy in Vancouver, giving viewers an immersive Italian ART experience from the Middle Ages to modern times starting June 12. 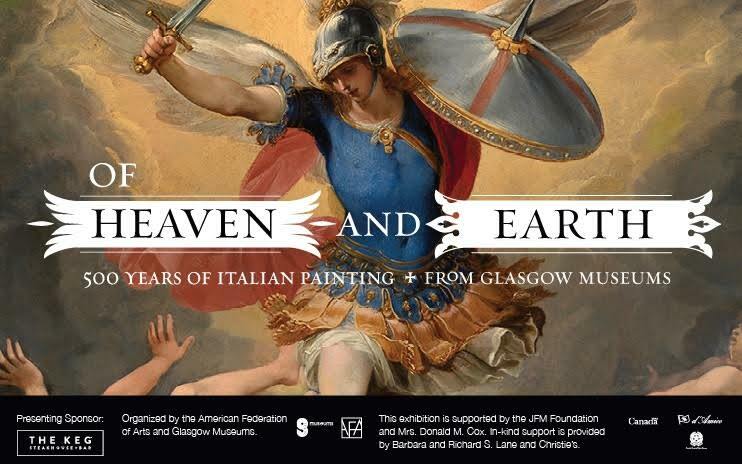 Want to win a pair of tickets to see the Of Heaven and Earth exhibit once it opens on June 12 ($45 value)? I'll select a winner on Wednesday, June 10th and notify the winner by email. Good luck! The film festival sounds cool!